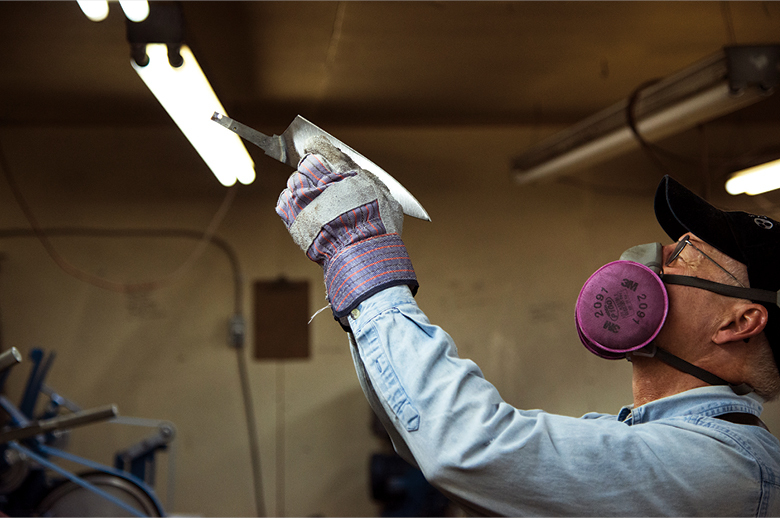 If there’s a hierarchy in the world of knife making, Bob Kramer Knives occupies a top rung. 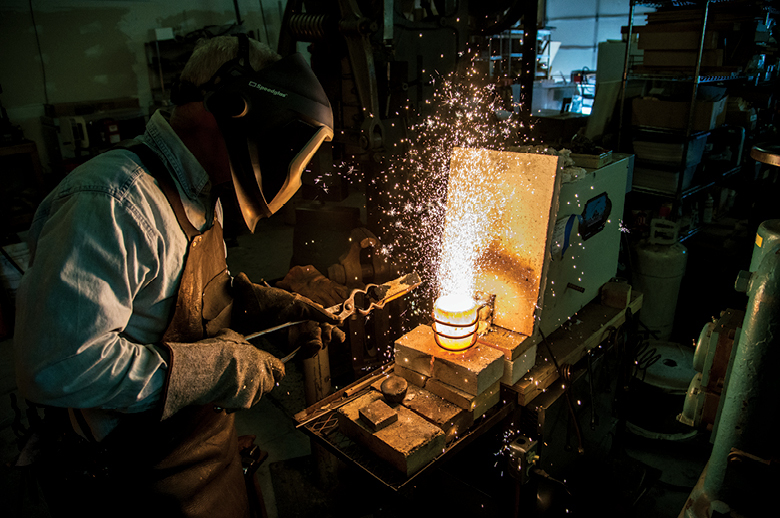 Kramer's custom-made, carbon-steel chef’s knives fetch prices of $10,000 and up — and you might wait several years to get one. 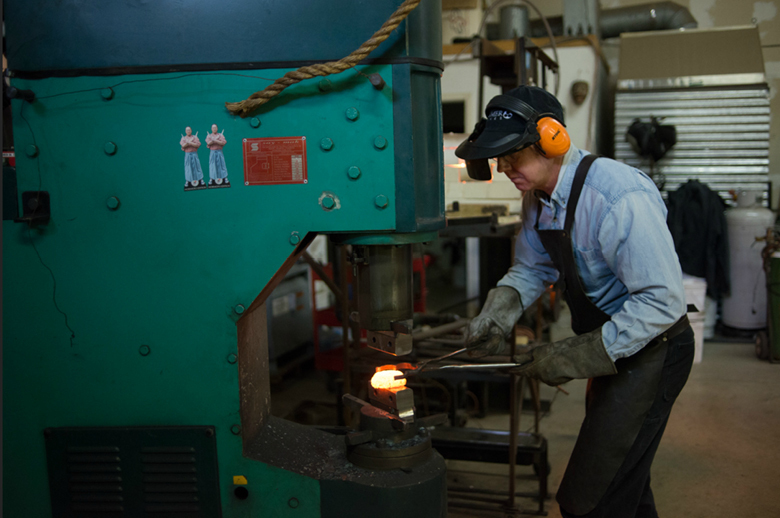 Kramer, who worked in professional kitchens before turning to bladesmithing in Seattle, moved to Olympia in 2005 and counts Anthony Bourdain, Thomas Keller and Mario Batali among his contented customers. 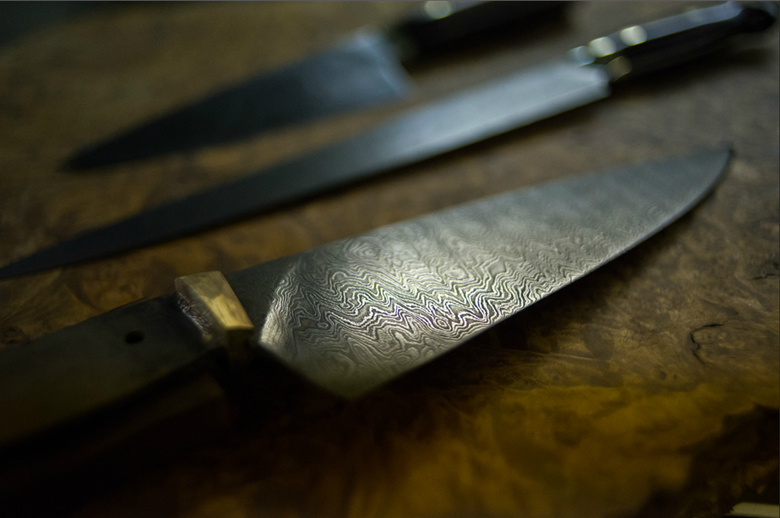 The swirling aesthetic of the Damascus technique he achieves on his high-end cutting utensils involves a painstaking process of creating “sandwiches” of two or more types of steel, then heating, hammering and cutting repeatedly to achieve wavy patterns from the layering method. 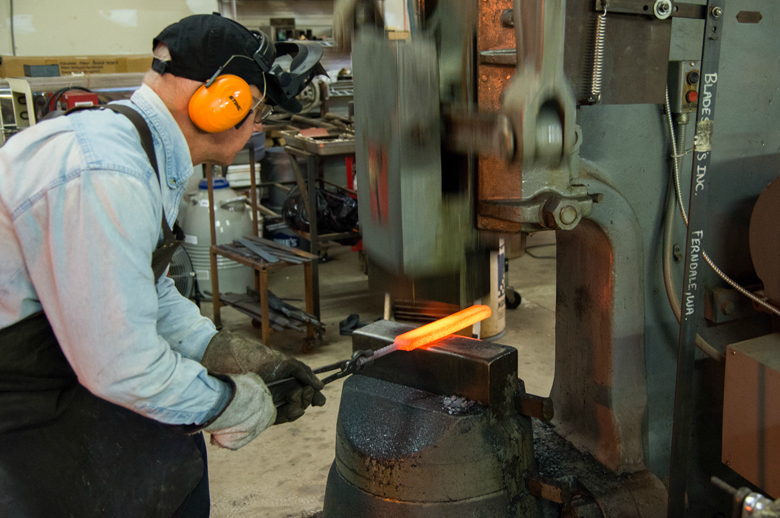 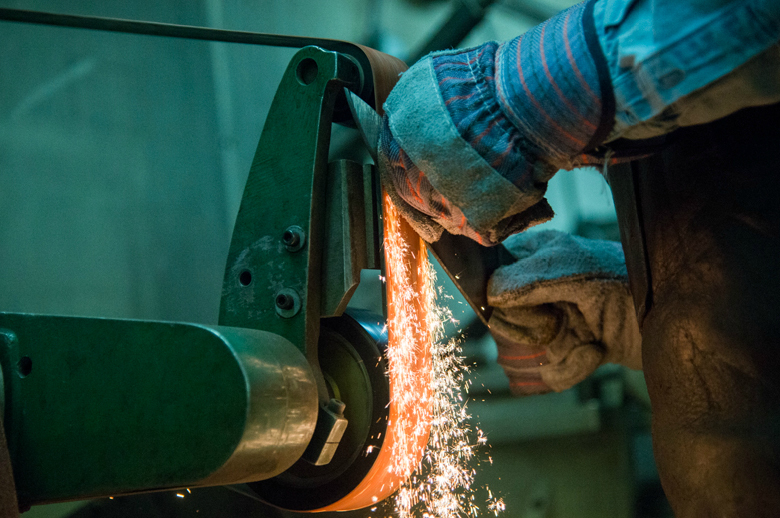 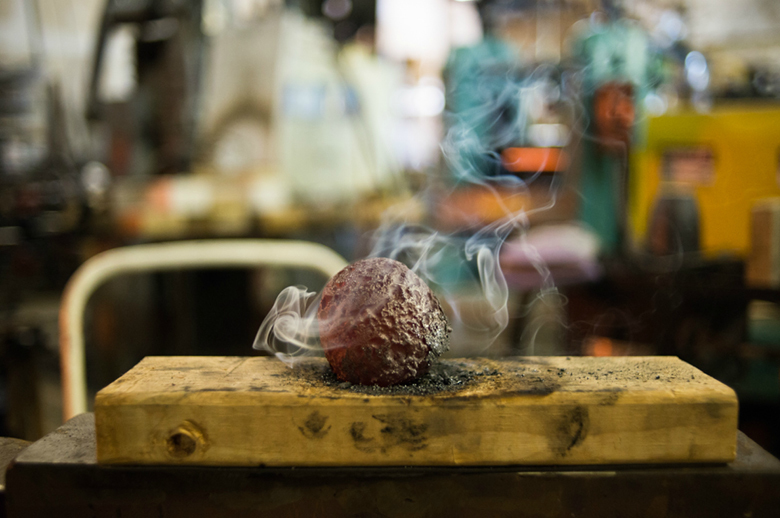 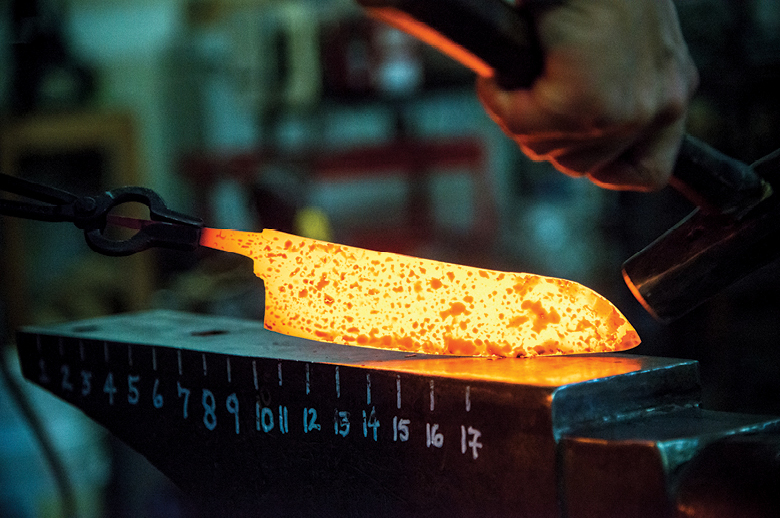 The photographs in this photo essay show a small part of the process, including hammering a glowing blade into shape and determining its taper strictly with the naked eye. 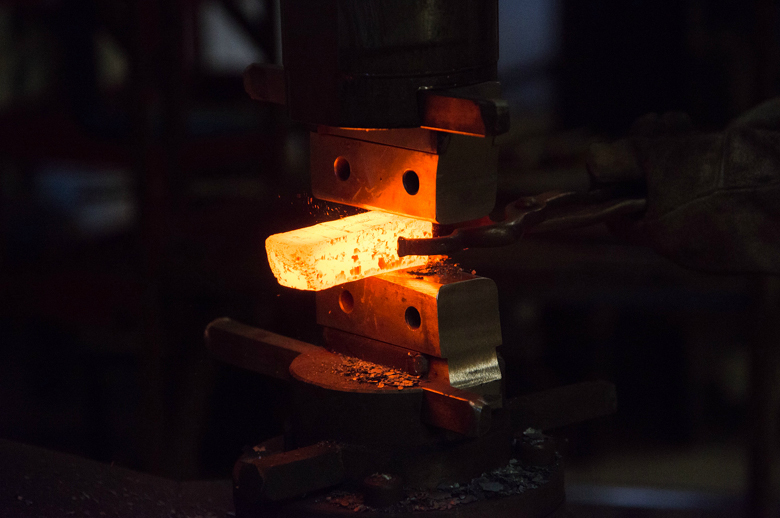 Click through for more images.